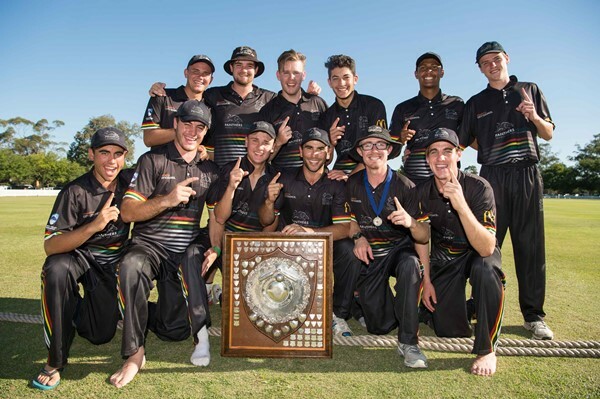 Penrith produced an outstanding performance in the Grand Final of the prestigious Under 21 Poidevin-Gray Shield against Gordon at Howell Oval on Sunday. The 84-run win gave the Panthers their first Poidevin-Gray title since season 2009-10. Penrith all-rounder Jake Wholohon was awarded the Shane Lee Medal as player of the match after his innings of 65 not out from 106 balls proved pivotal in the win. Wholohan also collected 1-28 with the ball to cap off an excellent all-round performance. “It meant a lot to me actually, I’ve had a pretty tough season on and off the field this year, to win PGs (is) absolutely incredible, it’s probably been three years in the making,” Wholohan said. Matt Wright was terrific in the beaten side. He scored 30 not out and claimed 3-22 from 10 overs. Penrith and Gordon finished the regular season rounds in fourth and sixth respectively, which earned the Panthers the home ground advantage. The home side won the toss and elected to bat on what appeared to be a good batting surface. Penrith made a solid start reaching 1/90 in the 16th over before captain Cameron Weir departed four short of his half-century. The wicket of Tom Sargeant soon followed, and from that point on, Gordon spinners Matt Wright and Ryan Meppem applied the brakes throughout the middles stages. Wright conceded a little more than three runs per over, while Meppem returned 0-27 from his 10 overs. Penrith lost 5-47 in those middle stages before Wholohan and Trent Weir (33) combined to perform the rescue mission. The pair put on 65 runs for the seventh wicket to ensure the Panthers got past the 200 mark. The hosts finished their allotted 50 overs at 7/229. “Anything over 200 I thought was going to be competitive in a final … but we scrapped well,” Wholohan said. Gordon looked to have got off to the perfect start as its captain Axel Cahlin, and arguably the best batsman for the visitors, showed some fine form in the middle. He made 13 from 18 balls before an attempted pull shot went wrong and the under edge cannoned into the stumps. It was a significant blow for Gordon. It lost its first five wickets for 81 by the 25th over and it left just too much to do for the visitors. Gordon was eventually bowled out for 145 in the 44th over, despite a brave effort late in the innings by Wright and Liam Windel (25). Spinner Andrew Hazard (3-22), paceman Ryan Fletcher (2-29) and Raajdeep Singh (2-14) all made significant contributions with the ball for the victors. Penrith all-rounder Jake Wholohan was named Player of the Final in the decider of the Under 21 Poidevin-Gray Shield against Gordon on Sunday after a match defining 65 not out in the first innings. Photo credit: Ian Bird.